Dus Ka Dum Finale: Is Shah Rukh Khan Helping Salman Khan To Conclude The Show On A High? If you guys remember, Shah Rukh Khan had given us a glimpse of Salman Khan’s cameo in Zero with the Eid teaser. Now, the news coming in suggest that SRK will be the guest on the grand finale of Dus Ka Dum which is hosted by none other than Salman Khan. According to a report in DNA, the final date for the shoot is not finalised but this is definitely happening. “While other stars have been approached for a few episodes, the last one has been reserved for SRK. Both the Khans are expected to bring the house down. Their camaraderie is for everyone to see.” said a source to the daily. If the reports are to be believed, it will amazing to watch both the Khans on screen together. As we all know it’s always fun to see them together on-screen and off-screen. 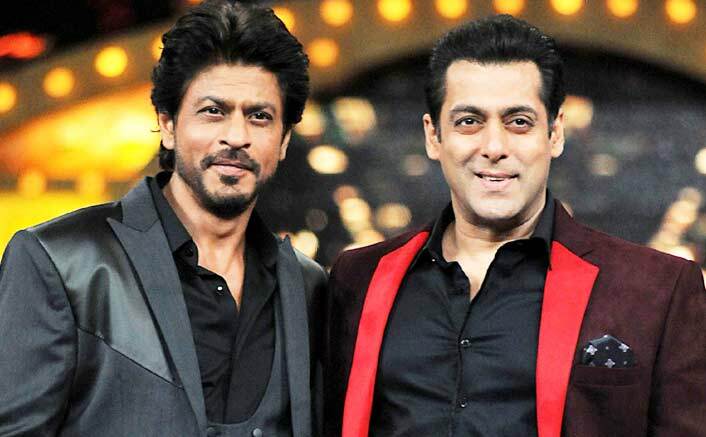 Their first film together was 1995 blockbuster Karan Arjun, since then the two have been a part of several blockbusters and have rocked the awards shows with their antics. This season of Dus Ka Dum on Sony Entertainment Television has been said to score low TRPs and hence the run-time of the show was reduced. But a finale with Shah Rukh Khan will be enough to grab maximum eyeballs finishing off the show in style.